we regret to inform you that you did not pass the nclex-rn examination. enclosed is your nclex-rn candidate performance report. i did so bad. i mean very bad. out of 8 content areas of the examination, i got 6 of them as below passing standard, 1 as near the passing standard and 1 above the passing standard. 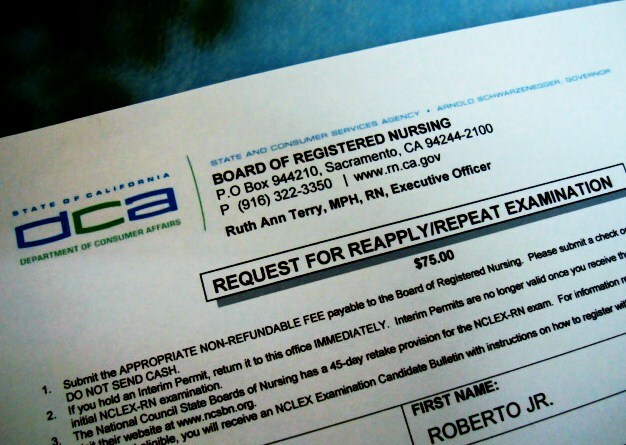 enclosed is a board of registered nursing request for repply/repeat examination application to reapply for board eligibility to take the nclex-rn examination. if the exam is not taken again within two years from the date of the last examination, the application will be considered as abandoned and the files destroyed. that is one reason i have to reapply, and next time i have to make sure that i am ready for it. This entry was posted in it might happen to you and tagged nclex, nursing. Bookmark the permalink.